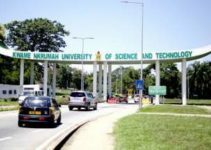 Check all KNUST admission requirements 2019 here – The Kwame Nkrumah University of Science and Technology just as other universities around the world has its own specified requirements that determine the admissions of students or let’s say interested applicants or candidates, without a candidate fulfilling the requirements specified, such candidate would not be eligible to admission, and we well know everyone wants to get admitted without failure or stress, and with respect to this the admission requirement for this school is required to be known for the benefits of applicants or candidates of the great Kwame Nkrumah University of science and technology. 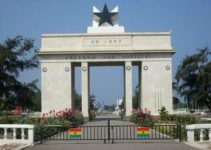 Right in this article will be discussed the Knust Admission requirements for the year 2019. Knust Admissions for 2019 – The year 2019/2020 admission forms for undergraduate students or applicants for this higher institution have been officially and publicly declared to be on sale. The university has also stated that both applicants who possess their examination result at the application process or time and applicants who would be sitting for the WASSCE Examination in few months to come are eligible for application into the University. A minimum of credit pass (C6) in the three core subjects which includes, English language, Mathematics, and integrated science alongside a minimum of credit pass (C6) in subjects relating to their area of study of which must not be less than three credit pass. A pass in the three compulsory subjects which are English language, Mathematics, and integrated science as well as passes in three elective courses in accordance to business which should, however, include business mathematics. A minimum of five (5) credits pass at the GCE ‘O’ Level or an equivalent examination which must include English language, Mathematics, and any other two elective subjects in accordance with the advanced level obtained in five year and above. A minimum of Credit pass in English Language, Mathematics, and integrated science which happens to be compulsory plus three elective or optional subjects which relate or is relevant to the course of study. At least a credit pass at WASSCE/SSCE in English Language, Mathematics, and integrated Science as they are deemed compulsory and important alongside a minimum of three credit pass in three elective or optional subjects which are found relevant to the applicants course of study or a minimum of six credits pass at GBCE or ABCE or GCE ‘O’ level which is to also include English and Mathematics. A minimum of 6 credits pass at WASSCE/SSCE which is to include English Language, Mathematics, and integrated science alongside three other optional subjects which are deemed relevant to the candidate’s field of study or 6 credits pass at ABCE or GBCE or GCE ‘O’ level which must include English language and Mathematics. A minimum of 6 credits pass at GCE ‘O’ Level or ABCE or GBCE which is to also include English language and Mathematics or 6 credits pass at the WASSCE examination of which the three core subjects must be included and three other elective subjects that tarries with the candidate’s field of study. At least five credits pass at GCE ‘O’ Level which must include English Language and Mathematics, and aside that, the candidate must strike through an Entrance examination and an interview (if specified). HND: These Candidates are to have a minimum relevant working experience of three years plus a minimum of five credits pass at WASSCE/SSCE which is to include English language and Mathematics and three other relevant subjects or a minimum of five credits pass at GCE ‘O’ Level which as well must include English Language and Mathematics. Foreign Applicants: these set of candidates are to possess the above-listed qualifications or their equivalent qualifications from a highly recognized and accredited institution and also meet up with the qualification’s requirements. All foreign candidates that wish to be enrolled in the Kwame Nkrumah University of Science and Technology must carry out all processes of admission online including payments, at this point you may tend to get confused and wonder how the payments would be made online and which accounts to be paid into, but you don’t need to worry cause we have got all the details needed right here. However, any application forms submitted via hand delivery will not be processed or even accepted. Still discussing the Knust admission requirements, it has been discovered that the school still has an admission requirement which a candidate needs to overcome, and this requirement is the success in the school’s entrance exam as there are different cut off point for each course and programmes offered in the school, you should as well check out the Knust Cut off point so as to enable you know if you hit the point deemed necessary for admission. Now known as Knust was formerly known as the Kumasi College of Technology which was opened officially back in the year 1952 having a total number of 200 teachers which were transferred to the school all the way from Achimota to make up the then new college. The school of engineering, as well as the commerce department, was founded in October, of the year 1952, and following the establishment was the admission of the first set of students. Later on, the Department of Pharmacy was brought to life in January of the year 1953 following the transfer of the Korle Bu Teaching hospital school of Pharmacy to the college. The Pharmacy department of this college ran a two-year broad course in Pharmacy which led to the award of the Pharmacy Board Certificate. That same year, the Department of Agriculture was established to make provisions for ad hoc courses of varying durations, after three years term of the department of agriculture, the General studies department was initiated to make up for preparations of the students for higher school certificate examination in arts and science subjects as well as to pass out instructions in subjects as required by other departments. The Knust school of Engineering got their students ready for professional qualifications only from the period of the year 1952 to the year 1955, and in the year 1955, the school went aboard on courses which led to the Bachelor of Engineering degree external examination in the University of London. The school of architecture came to life in the year 1957, as well as town planning and building were all inaugurated, and its first set of students were enrolled into the school in January of the year 1958 for professional courses. Lots of other schools and departments were established along the long run but got its present name in the year 1998 to be the Kwame Nkrumah University of Science and Technology. Gaining admission into the University having fulfilled all the necessary requirement just got a whole lot easier as all you really need to know concerning the admission requirements of Knust has been discussed.